TUBE UNION RMT confirmed today that driver members on the Piccadilly Line will strike again later this month in a long-running dispute over the breakdown of industrial relations and a comprehensive failure by management to deliver on promised improvements following previous rounds of industrial action. Between 2030 hours on Friday 28th September and 0130 hours on Saturday 29th September. The action comes after the abject failure by Tube bosses to deliver on a raft of issues including an end to the abuse of policies and procedures, delays and cancellations to planned training, failure to release reps for important meetings and dragging their feet over implementation on key health and safety ‎issues. 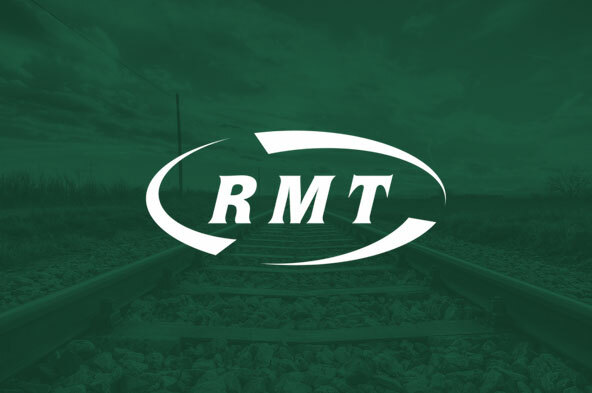 “RMT has given Tube bosses ample time to rebuild trust and relations with staff on the Piccadilly Line but instead they have strung us along and mugged us off and our members aren't having it. That's why we have had no choice but to put this action on and the responsibility for the chaos that will ensue on a line serving Heathrow and half a million passengers a day lays fair and square with London Underground management. “The company seem to think that they can promise improvements one day and then get away with playing fast and loose with safety and taking liberties with policies and procedures the next. Well, they can't.